Where can you go in Las Vegas to get a taste of Mother Nature? There's the Springs Preserve, but its massive size and need for an entry fee can be quite the turn off. You can find a trail to hike outside of Sin City, but the reward isn't quite worth the hassle. There is actually a place on the Strip, located conveniently in the center of all of the action, that gets you up close and personal with Mother Nature, and it doesn't require an entrance fee. 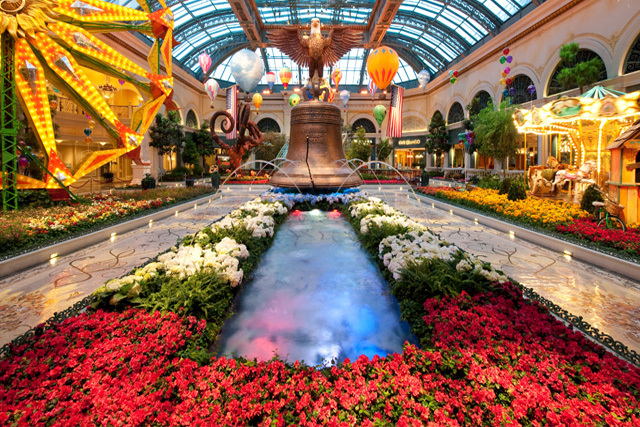 The Conservatory and Botanical Gardens at The Bellagio Resort and Casino is a gorgeous display of plant life that is as visually stunning as it can be informative. 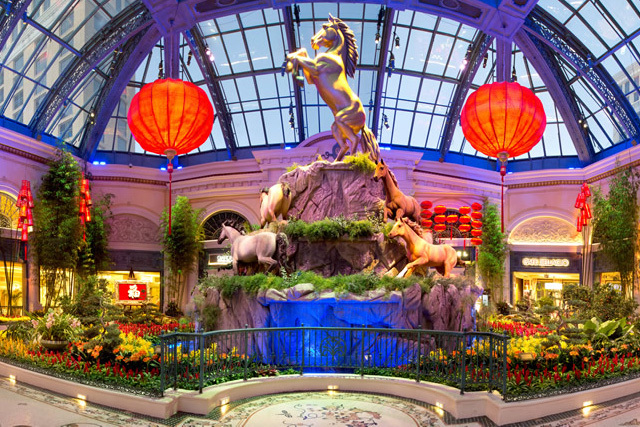 It's hard to miss the Conservatory and Botanical Gardens when you step inside the Bellagio's main entrance. Just beyond the hotel check-in lies this large display of breathtaking and colorful plant life. The gardens are decorated with such care as to create visual displays that will awe and inspire. Colorful flowers bloom throughout while decorative pieces add a little flare to this gorgeous display. The gardens aren't exactly large, but as you walk through them, it's not uncommon to get lost in the natural beauty of it all. Horticulturists ensure that the gardens are unique for each of the four seasons, utilizing gazebos, bridges, water features, and ponds to create beautiful displays that accentuate The Bellagio's already present beauty. Rare bits of nature are collected and deposited in this display, allowing you the chance to get up close and personal to some of the world's most eye catching flowers. Find species that wouldn't normally survive in the desert climates on your leisurely stroll through this display. Flowers are changed to fit the specific season, and the display is designed to cater to holidays as well. It may not be even close in size to some of Las Vegas' bigger attractions, but there's something about the Conservatory and Botanical Gardens that continuously draws in tourists and onlookers. Its stunning visual display is one for the vacation photo album. I look forward to seeing them next next year. What a great attraction.